Exclusive : Grosvenor Casinos’ 2019 poker calendar is now live! Grosvenor Casinos exclusively reveals details of its 2019 poker calendar. Another packed year of poker tours and events with some brand new additions including more online day 1s, new side events (including a GUKPT High Roller), a national league and the all new Deepstack tour! 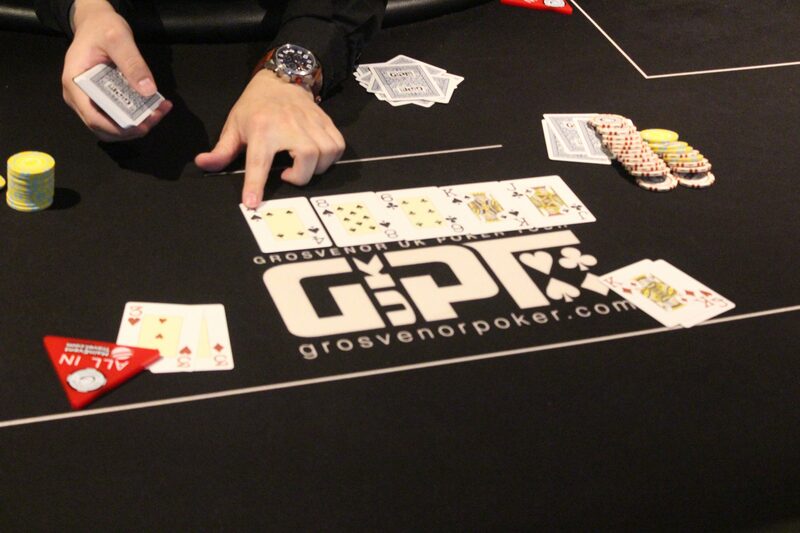 Grosvenor Casinos U.K Poker Tour (GUKPT), the company’s premier flagship tour, returns to 2019 for its 13th season. The 2019 GUKPT consists of 9 legs each hosting a Main Event with buy-ins ranging from £500+60 to £2,500+150 and guarantees of between £100,000 and £500,000. The prestigious GUKPT continuously draws in the biggest names in poker as well as many newcomers, plenty of whom take advantage of the extensive satellite offering at the host Grosvenor Casino or online on Grosvenorpoker.com. Due to customer demand, the ever popular GUKPT Mini Main welcomes an Online Day 1 taking place on Grosvenorpoker.com on the Monday evening. In addition Grosvenor Casinos can exclusively reveal the 2019 GUKPT Grand Final guarantee will be a £2,500+150 event with the guarantee boosted to £500,000. The Grand Final festival with also feature a new High Roller event – more details coming soon! 2019 also welcomes back the popular 25/25! The £25,000 guaranteed 25/25 reaches destinations right across the U.K, bringing great structured tournaments for an affordable price tag of £200+25. Grosvenor Casinos is excited to reveal in 2019 there will be an online day 1 for all 25/25 Main Events and a new 25/25 Side Event taking place on the Sunday of each leg. The Easter Beast, Summer Sizzler and Christmas Cracker will be back in 2019 to make those holidays even more special for every poker enthusiast. Each of the three Seasonal Specials consist of seven £20,000 tournaments with a £100+15 buy-in taking place across seven U.K. regions. Each of the seven regional tournaments hosts various day 1’s before combining day 2 players to battle it out for the title. The Seasonal Specials are a particularly fun and sociable way to play poker, all whilst taking part in a serious tournament with a great structure. Grosvenor Casinos U.K. Student Poker Championship (UKSPC) will be returning to Grosvenor Casino Coventry on Tuesday 23rd April 2019 for a week-long festival of poker. The UKSPC is the largest live student poker tournament and Grosvenor Casinos is excited to welcome new freshers in 2019. The record breaking Goliath returns to Grosvenor Casino Coventry in the Ricoh Arena on Saturday 27th July 2019. Every year this poker phenomenon has broken its own record to retain the title for the largest live poker tournament outside of the U.S.A. Last year the Goliath Main Event welcomed a staggering 7,584 entries, creating an incredible £758,400 prizepool. In 2019 the Goliath Main Event has a first prize guaranteed at £100,000 – an extraordinary amount to play for from a buy-in of just £100+25. The 2019 Goliath also sees the culmination of a year long poker journey for David Haye. The former world heavyweight champion will be competing in the Main Event after undergoing intensive poker training from the Grosvenor Casinos poker pros. Can David defeat Goliath or will he be taken down by one of the thousands of other poker hopefuls? Grosvenor Casinos is proud to announce the latest tour to join the line up. Introducing…. the Deepstack! These events will all feature a £130+20 buy-in, £12,000 Guaranteed Prizepool, and of course a great deep structure allowing for plenty of play. The Deepstack will reach numerous destinations each weekend and with outstanding numbers in 2018’s GUKPT Mini Mains and 25/25s, Grosvenor Casinos predicts this tour to be an instant hit! In 2019 Grosvenor Casinos is running an all new national league which will feature ‘Diamond’ and ‘Platinum’ GUKPT Packages for 2020. The national league will be based on a points system which will see players earn points in Grosvenor Casinos’ poker tournaments with a £100 buy-in or more and which feature more than one Day 1 flight. More details on this exciting new addition will be released soon. Grosvenor Casinos’ online site, Grosvenorpoker.com, ensures all customers can qualify for the above events thanks to satellites running around the clock and starting at just 25p. In 2019 Grosvenorpoker.com will also be hosting a Day 1 to all 25/25s, Deepstacks and Seasonal Specials, allowing all players the chance to make Day 2 without even having to leave the comfort of your own home!